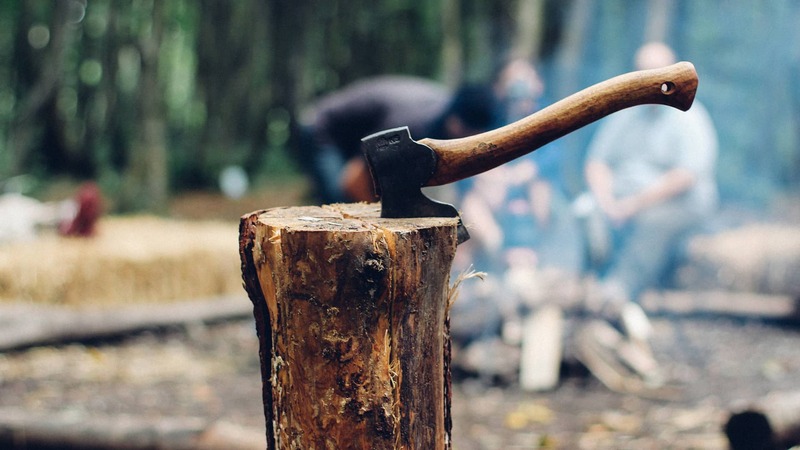 Merthyr Chainsaw and Garden equipment came to us because they had been selling their gardening equipment on eBay but they were fed up with paying the high selling fees involved. Our solution was to create a fully mobile responsive website that would integrate with their existing payment system which they used in store, which would save them up to 5% per transaction. From the start we knew this site was to have over 600 products along with hundreds of variations of each product, so we didn’t want to clutter the site. Our solution was to keep the website clean and keep the focus on the products. We would then use the greens and the browns to highlight sections of the site of interest. You can see the logo and the colour palette below which we used for this website. With so many products it would be easy for a user to get lost, for that reason the layout was kept clean and we would then use colour to attract the users attention to parts of the site which would be of interest to them. You can see the homepage layout below. This was one of our very first ecommerce websites many years ago. We built this website around the same time as responsive web development was becoming the standard way of development. Many years later the website has stood the test of time. 73% of mobile users say that their mobile phones are their primary shopping devices. 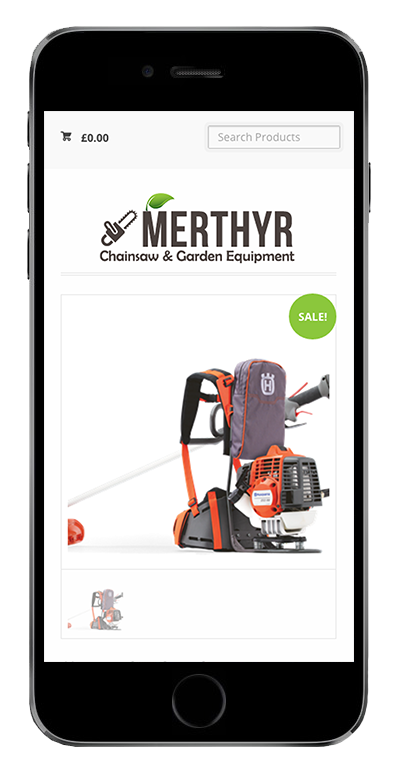 We wanted to maximise Merthyr Chainsaws profits by making their website mobile friendly. As well as being mobile friendly the website had to be search engine friendly. Merthyr chainsaw is the top ranked garden equipment website in the local area. 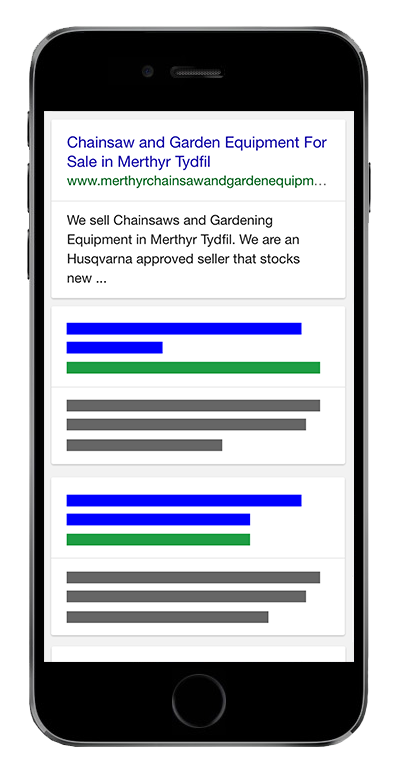 Not only were we able to save Merthyr Chainsaw & Garden equipment a huge percentage per transaction fee but we were also able to rank them on the first page for some great keywords generating traffic and sales. 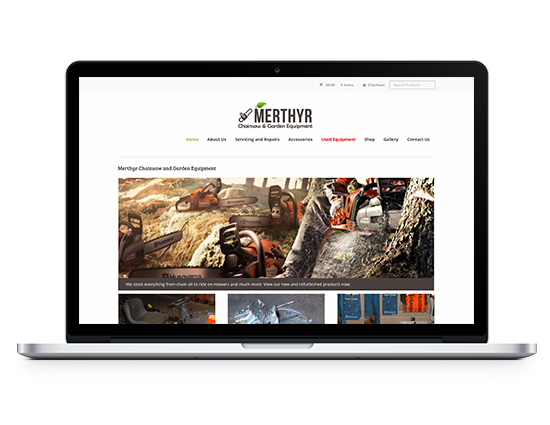 Garden equipment and machinery is a very tough industry to break through into, however we were able to get Merthyr Chainsaw on the first page of the search engines for some very lucrative keywords.